To provide for the youth of the Bastrop area a safe, healthy, and enjoyable environment in which to learn football and cheerleading basic fundamentals, sportsmanship, self-pride, discipline and team spirit. Who’s ready for some football?! BYFO is! Details for Spring registration are being finalized, and registration will be opening up 2/1/19! Keep an eye on BYFO’s Facebook page and website for updates! Please read the entire post for some important information. Varsity 7on7 (13-14 yrs old) Players who will be 15 yrs old before July 31 2019 CAN NOT participate in this age group, regardless if they are still in middle school or not. All paperwork is due WITH IN THE FIRST WEEK of practices or your child will not practice until it’s turned in. This ensures that BYFO has ample time to sort through and collect paperwork to make sure it’s correct for certification day. I (the Secretary) will post times that I will be available at the field to turn in paperwork. There will be a cut off date (it will be posted at a later time) After that date, no other paperwork will be accepted and your child will be unable to participate in the Spring season. Looking forward to a great Spring season! Please make every effort to attend practices as missed practices will affect playing time and the overall success of the team. In an effort to promote values of team and fairness to all who participate, the following policy will be implemented for the upcoming football season. This will be in full effect the week prior to the first game. This attendance policy is not designed to penalize players, but rather promote attendance. We understand that player’s will deal with injuries, illnesses, schoolwork and a number of other activities. However, if a child is dealing with an above situation and misses multiple practices, then they most likely are not ready to play in that week’s game. If a player can be at practice, please send them. If you are questioning whether or not they should be participating that day, please discuss it with a coach. We will not penalize a player who makes the effort to attend and is sent home, and just having a player attend practice and hearing what the coach’s are saying will benefit both the player and the team. Should an extenuating circumstance arise, please let the coach’s know at your earliest convenience that your child will not be at practice. 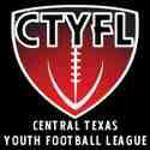 ​​Participants will have the required minimum plays as outlined in the Central Texas Youth Football League Rules. If the athlete does not attend practice (unexcused) or is disruptive during practice, which includes but is not limited to back-talking, not obeying the coach, using foul language, and/or exhibiting violence against another person, the participant may be deemed ineligible or have minimum plays reduced for the week provided that written documentation has been emailed to the appropriate parent & coordinator 24 hours prior to the scheduled game. ​​Notify the head coach in advance if you must miss a practice or game. Failure to notify the head coach will result in an unexcused absence being given to the player. Just wanted to send out a general reminder to our families and to all visitors to the Jamboree, and home games. This applies during practices and through the season. There are NO VEHICLES on the field with the exception of board members carrying equipment/paperwork on and off the field. The gate is locked. Please do not drive over the locked gate/wire especially if it is locked. NO ANIMALS ARE ALLOWED on the practice field (at Bastrop Intermediate) or at any field we play on during the season. This does include puppies/small dogs that are being held or in carriers.This is a school district rule. The ONLY exception are certified service animals. They will need to be leashed. When visiting turf stadiums,to include Memorial Stadium, NO COLORED DRINKS are allowed on the track or field. Only Water. NO FOOD is allowed on the track or field, everyone can eat outside of these areas before and after game times. We want to be able to keep using these fields to hold practice, and play games If we continue to disregard BISD rules, we may be asked to leave. Any board member that observes the above rules being broken, will ask the parent to correct the issue (take the dog home/move off the field etc.) If the parents continue to disregard the field and league rules, they can be banned from all practices and games. Thank you for your cooperation, and we look forward to a great 2018 Fall Football Season!!! Go to your Apple App store or Google Play store or click on the buttons for the stores here to download the SportsEngine App! Just look up the team name provided on the team buttons you want to follow and you will be able to see scores and updates for the games this season as they are updated. Registration for [Member Association] football/cheerleading is open to all children, ages 4 - 12 for football and ages 4 - 13 for cheerleaders. Registration must remain open until [no earlier than Official Draft Day] and all who register by this date must be accepted as long as they make required payments, provide required CTYFL documents and meet all other CTYFL eligibility requirements. No try-outs will be held - all children who register for [Member Association] football or cheerleading will play. Violations of this CTYFL policy will not be tolerated. Please report any violation of this policy to the CTYFL Executive Vice President at: executive_VP@ctyfl.org. You can find them at www.ctyfl.org. ©2019 Bastrop Youth Football Organization / SportsEngine. All Rights Reserved.